From Management Gurus, Hiring Managers to Psychologists, ‘goals’ have been known to be a conversation-bender. All of us have a financial goal – becoming debt-free or saving up for something. One may argue that if it is about building wealth, all one has to do is save. But there is a lot more to financial goal setting than putting away money every month. In order to secure the future, it is necessary to define what you have today and what you want to have tomorrow. Specific goals that are tied to what you value are often easier to achieve. For example, setting a financial goal to save Rs. 60,000 to buy that smartphone you always wanted is a bigger motivator than setting aside the amount to deposit in your savings account. A written goal is the most definitive way to reinforce motivation that tends to wane after the first few weeks. Keep it SMART – Specific, Measurable, Achievable, Realistic and Time bound. Goals that are clear and concise, aligned with quantifiable investments for defined periods of time, are most likely to have desirable outcomes. Define and categorize your goals. This will give you an overall perspective of your financial ambitions and identify what needs to be done to get there. 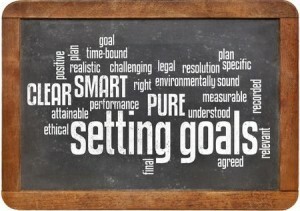 Tip : if the goal looks tough break it up into smaller, short term goals. This makes it easier to accomplish. Now that you have identified your goals, it’s time to put pen to paper. Figure out how much you’ll need to save every month to achieve your specific financial goals. Use the power of compounding and stock markets as per your risk appetite and invest. Review your spending with your saving plan and make amends where necessary. The most important supplementary effort towards achieving financial goals is to stay on top of your money – keep bills intact, pay them off in time and monitor your cash flows. 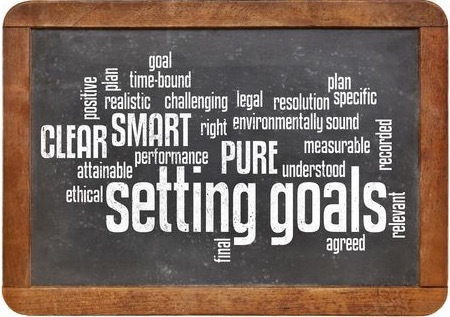 Remember prudent financial planning begins with financial goal setting.